After building a mint name for themselves through jaw-dropping original productions and massive collaborations with acts like Seven Lions and Asking Alexandria, Slander have recently added “label bosses” to their resume. They recently turned their popular Gud Vibrations brand into an official record label with NGHTMRE, but their work is only getting started. The LA-based duo recently teamed up with Spag Heddy on a brand new single featuring singer/songwriter Elle Vee called “Running To You,” which is out now on Monstercat. The five-minute single, filled with trap and dubstep beats, will be featured on Slander’s forthcoming The Headbangers Ball EP. 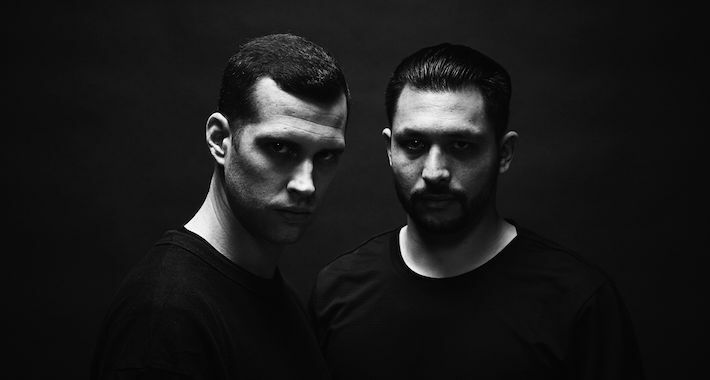 Slander are proven masters of fusing melodic and heavy-hitting elements to form divergent soundscapes, and they’re back with “Running To You” in collaborating with Spag Heddy, who is a fellow dubstep producer. The track showcases Vee’s ethereal vocals over a minimal piano melody during the song’s verses, lulling the listener into a place of serenity before Slander and Spag Heddy unleash the drop’s stabbing synths and grating mechanical basslines. With its elements of light and dark, this track will ignite headbanging, thrashing dance floors around the globe. This one’s out now via Monstercat so lock yours in here.